Marie Force’s Market Survey & My thoughts. I ran across the survey by Marie Force that was conducted from June 1-30, 2013, via Survey Monkey, and as many as 2,951 people replied to most of the 44 questions formulated by myself and more than a dozen other authors. She and several other authors did the survey and I found this interesting and useful. Readers prefer e-books to paperbacks (77 to 52 percent). However, the question allowed readers to choose all formats that apply, and there appears to be crossover between the two most popular formats, indicating some readers buy books in multiple formats when the paperback is available. I think it’s extremely interesting to note that more than half are still looking for their books in paperback. That will be a number to watch in future surveys. Will it go down or remain steady at about half? Nearly 80 percent buy their books from Amazon, with Barnes & Noble scoring a distant second at 23 percent and iBookstore/Apple coming in third at nearly 13 percent. I’ll be interested to see how this result changes or shifts over the next year. I believe first place will remain around the same percentage while the distance between second and third place will continue to narrow. Nearly 58 percent of those surveyed have not visited a brick and mortar bookstore in the last year or have done so twice in the last year. Twenty-five percent visit a bookstore once a month and twenty percent are there twice a month or more. A whopping 81 percent of those surveyed listed romance as their favorite genre with mystery coming in a very distant second at almost 5 percent. According to the Romance Writers of America, romance was the top-performing category on the major bestseller lists in 2012 and accounted for $1.438 billion in sales in 2012, so it’s not surprising that most of those surveyed chose romance as their primary genre of interest. For those who chose romance as their favorite genre, nearly 28 percent chose contemporary romance as their favorite subgenre with historical scoring second place with 23 percent. I found it interesting that only 2.6 percent chose New Adult as their favorite romance genre. That leads me to wonder if readers are aware of the “New Adult” name the industry has given to romances about women in college/early 20s, or if the genre isn’t really as popular as it seems, or yet again if New Adult was lumped in with contemporary by some respondents. Sixty-four percent of those surveyed say they pay “no attention” to who publishes a book and/or “it doesn’t matter” to them. Thirty three percent pay “some attention” to who the publisher is whereas 4 percent say the publisher’s seal of approval “matters” to them. Ninety-five percent of readers are “more likely” to buy a self-published book from an author who is known to them versus 68 percent who are “less likely” to buy a self-published book from an author who is unknown to them. The results for the primary source of information about books were all over the place with the top vote getter being Facebook at 18 percent, followed by retail sites at 17 percent, Goodreads at 13 percent and author websites at 10 percent. Lots of interesting data in the “Other” field for this question. Facebook (62 percent) and Author Websites (63 percent) were virtually tied for first when readers were asked where they get their information about their favorite authors. (This was a “choose all that apply” question.) Author newsletters were a distant second at 36 percent. Goodreads scored 27 percent and Twitter 19 percent. Retail sites were next at 18 percent. It’s probably safe to conclude from these results that if you have limited time, it’s best spent on Facebook and keeping up your website. Fifty-three percent of readers are “somewhat” swayed by reviews. Twenty-nine percent fall into the “not very much” or “not at all” categories and 18 percent say they are “very much” influenced by reviews. When asked which reviews are most important to them, 50 percent chose the reviews posted to retail sites. Goodreads was a distant second at 16 percent, followed by blog reviews at 13 percent and publication reviews (RT Book Reviews, Publisher’s Weekly, Kirkus, etc.) at 10 percent. An additional 10 percent of the respondents listed “Other” sources than those provided by the survey. We asked readers to tell us which review publications they subscribe to and offered the following choices: RT Book Reviews, Publishers Weekly, Kirkus, Booklist, NYT Sunday Edition, USA Today, None and Other. Eighty-one percent chose “None” with RT Book Reviews at a distant second at 12 percent. With the same list of publications, we asked readers to indicate which of the publications had influenced their decision to buy a book or try a new author. Seventy-six percent replied “Not applicable,” with RT Book Reviews coming in a distant second at 13 percent. We asked how important “star ratings” are to their purchasing decisions, and discovered that 43 percent will wait to purchase a book if they see “low” star ratings. Thirty-eight percent say they will still try a book if they like the cover and sample, even if it has “low” star reviews. Eleven percent responded that star reviews are not at all important to them and 9 percent rely heavily on star reviews and will only purchase a book that meets their star-rating criteria. Thirty-five percent have been introduced to new authors via free books more than 20 times. Twenty-one percent have found new authors through free books more than 10 times. If they liked what they read in the free book, 85 percent were extremely likely to buy another book from that author. We discovered that readers are interested in stories with outstanding characters, setting, storytelling and writing, with 75 percent choosing “all of the above” to encompass each of those elements. We asked if seeing the words “New York Times Bestselling Author” on the cover of a book is more likely to spur a reader to try a new author. Seventy-two percent said no, and 28 percent said yes. In addition, 60 percent of those surveyed “never” peruse the New York Times bestseller list looking for new authors. Four percent of those surveyed review the list every week in search of new authors. Sixty-eight percent of those surveyed never review the USA Today bestseller list to find new authors and 2 percent do so weekly. Seventy-five percent of those surveyed never review the Publishers Weekly bestseller list to find new authors and 2 percent do so weekly. Eight-four percent of those surveyed subscribe to the newsletters of their favorite authors, and 55 percent subscribe to the blogs of their favorite authors. Just about half of those surveyed subscribe to BookBub to find out about free and reduced-price books and 31 percent subscribe to Kindle Fire Department. A wide variety of other outlets were listed in the open-ended replies for this question. In one of the more interesting results, 60 percent of those surveyed do not follow their favorite authors on Twitter whereas 87 percent of those surveyed do follow their favorite authors on Facebook. Find more than 2,000 replies to the open-ended question about what readers are looking for from authors on Facebook in the link to the full results at the end of this post. In another interesting finding, 85 percent of those surveyed do not follow their favorite authors on Pinterest, and 86 percent do not look for authors on any other social media platform besides those already listed in the survey. Goodreads was one of the most frequently mentioned sites in the open-ended portion of the question. Fifty-two percent said that if they want a book badly enough, they don’t care what it costs. Twenty-two percent said they will not pay more than $4.99 for a book. Sixty-eight percent are looking for novellas (in the 25,000-word) range to fall in the $0.99 to $1.99 price range. But 21 percent said they would pay $2.99 for a novella of this length. When asked what they expect to pay for a full-length (80,000 words or more) novel, 26 percent said $4.99, 19 percent said $5.99, 14 percent said $3.99, 13 percent said $7.99 and 12 percent said $6.99. I found it interesting that only 6.5 percent said $2.99, which has been considered somewhat of a “sweet spot” in indie pricing. Twenty-six percent would be willing to pay for “bonus” material, such as a short story unrelated to the current novel, but 34 percent were unwilling to pay for any kind of bonus material. We had a true 60-40 split on whether an endorsement from a well-known author is more or less likely to make you buy a book, with 60 percent saying author blurbs or endorsements do not influence purchasing decisions. When asked where they buy audio books, 70 percent replied that they have never bought one. A distant second was Audible at 15 percent, then Amazon at 11 percent and iTunes at 7 percent. When asked how many audio books readers purchased in the last year, 74 percent said they don’t purchase them. Among those who do, 18 percent bought between one and 10 audio books. Only 4 percent bought more than 20 audio books in the last year. Fifty-four percent of those surveyed have never watched a book trailer, and 8 percent have bought a book because of a trailer. Fifty-three percent are most concerned with a professional presentation when it comes to book covers, and 32 percent are rarely influenced by covers. Fifty percent don’t care whose point of view is presented in the book, but 45 percent enjoy multiple points of view whereas only 3 percent prefer first-person point of view. Most of the readers surveyed don’t care who publishes a book or pay very little attention to who the publisher is. Judging by these results, it’s probably safe to assume the author name is selling more books these days than the publisher name. Retail reviews, such as those found on Amazon, Barnes & Noble and other retail sites, are the most important reviews in today’s environment. If an author only has time for one social media platform, choose Facebook. 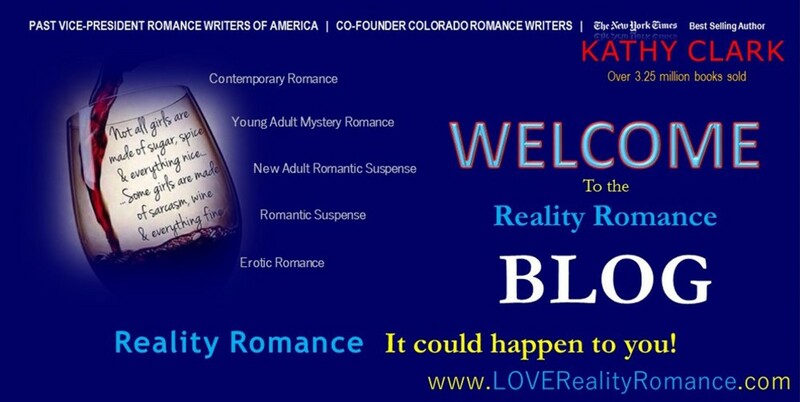 It’s where the readers are and it’s where they’re looking for their favorite authors. They are not looking for their favorite authors on Twitter, which didn’t surprise me all that much. I’ve long suspected that Twitter was more about “preaching to the choir” whereas Facebook is about connecting with actual readers. That doesn’t mean there are NO readers on Twitter. To the contrary. However, there are more of them looking for authors on Facebook. Author endorsements don’t matter as much as industry insiders think they do. Most readers don’t care about them. Most e-book readers are buying from Amazon, which of course we knew, but now we have data to confirm it. More than half don’t care how much a book costs if they want it badly enough. Most expect to pay $4.99 for a full-length novel (80,000 words or more) and between $0.99 and $1.99 for a 25,000-word novella. Readers are still somewhat leery about buying self-published books from unknown authors, whereas they are more than willing to buy books from self-published authors who are known to them. More than half the readers are still looking for their books in paperback format. Hear that?More than half. That’s a lot of readers… To those who think traditional publishing is dead, remember this: More than half the readers are looking for a format that traditional publishing is still best equipped to provide. If you want to reach that half, you may have to remain in business with traditional publishers. I am. That’s why. Audio books are not very popular—yet. Give them time. I believe we will see this number increase over the next few years. Readers pay very little attention to book trailers. Readers are not big fans of first-person points of view. New Adult romance isn’t as popular as we thought it was. Or… It could be readers aren’t aware that the books they love to read about young women in college or right after college are considered “New Adult” romance. I believe it’s possible this result is misleading. Judging from the books on the bestseller lists, New Adult is as popular as we think it is. Marie Force has done a great service by taking the time to collect and tp present this information. Thanks! Very professionally done. This entry was posted in author, Books, ficition, fiction, publishing, publishing business, reader and tagged author, entertainment, indie, indie book, indie publisher, publisher, reader, smashwords, suspense, teen, teen fiction, teen time travel, teenager, teens, time travel, withing a book, writing, ya suspense, young adult, young adult fiction, young readers by Kathy Clark, a.k.a. Bob Kat. Bookmark the permalink.